Darren Alff took his first bicycle tour 17 years ago after graduating from high school. He has barely stopped riding since then. 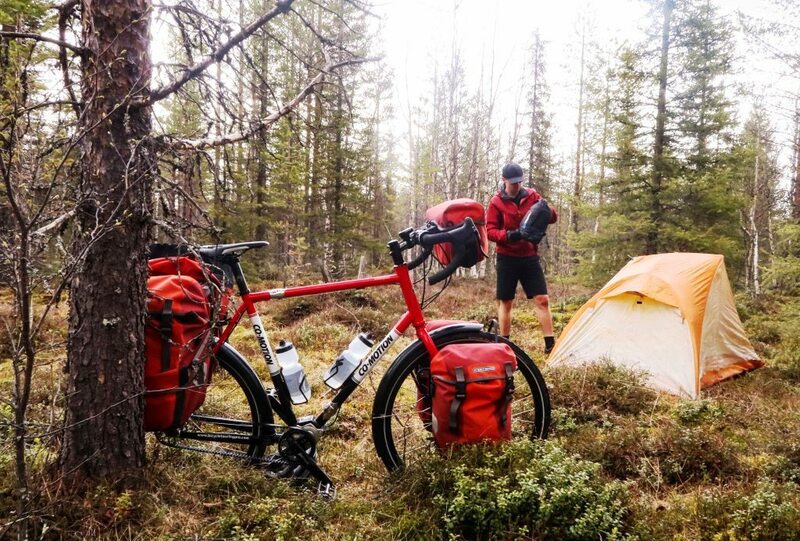 Alff, 33, is a bike touring expert, author and videographer who turned his passion into a career. 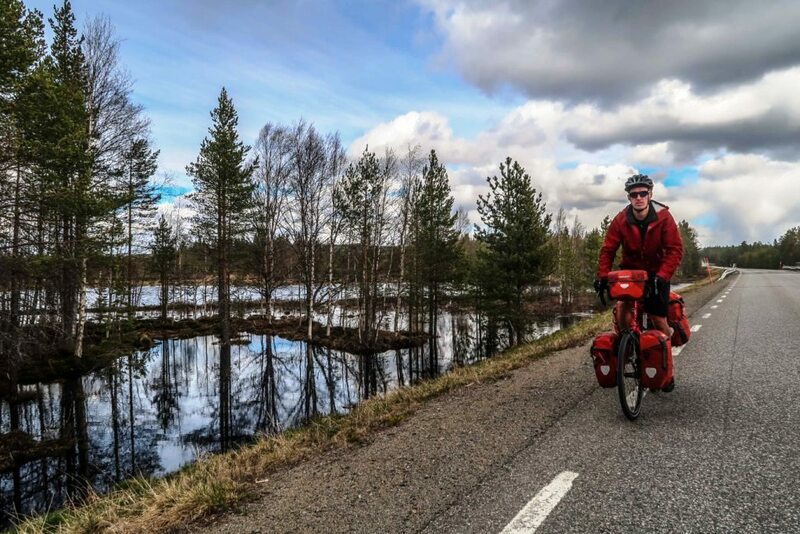 Alff has cycled across America six times and ridden through more than 70 countries. 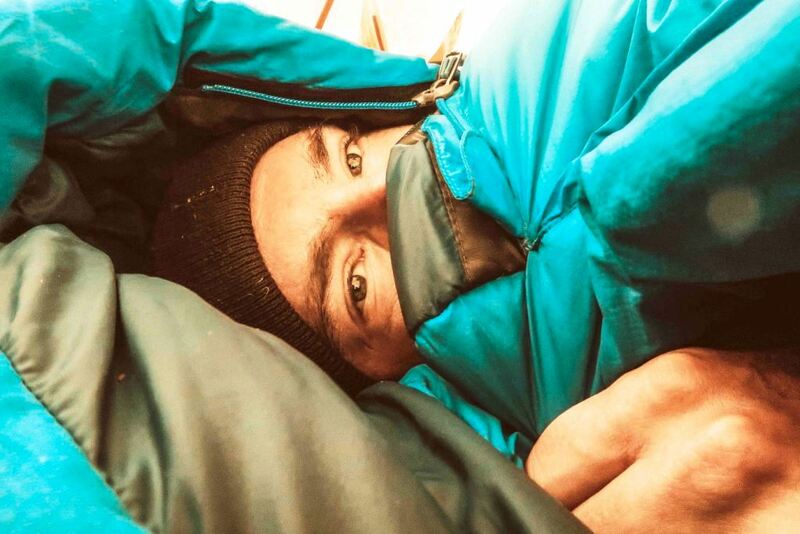 We caught up with Darren in Sweden, where he was editing videos and photos and writing up trip reports from a Scandinavian adventure he had just completed, camping in the forest beneath a midnight sun and experiencing some summertime snow. Darren was excited about his new bike, a Siskiyou from Co-Motion Cycles, equipped with a Gates Carbon Drive system and Pinion gearbox. 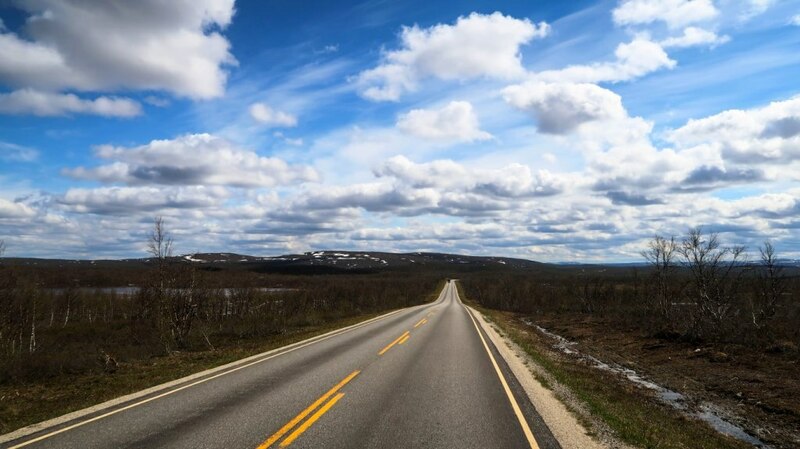 Belted Blog: Can you tell us about your recent trip and share some highlights? 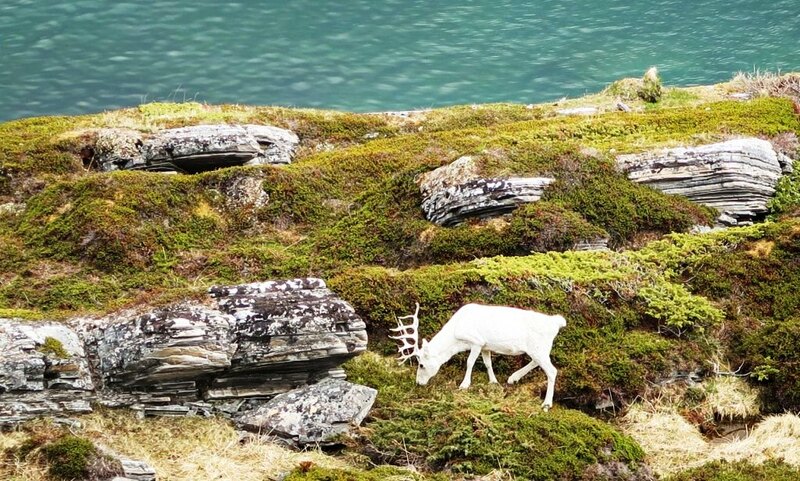 Alff: I just completed a month-long tour from Umea, Sweden, to Nordkapp on the northern coast of Norway. 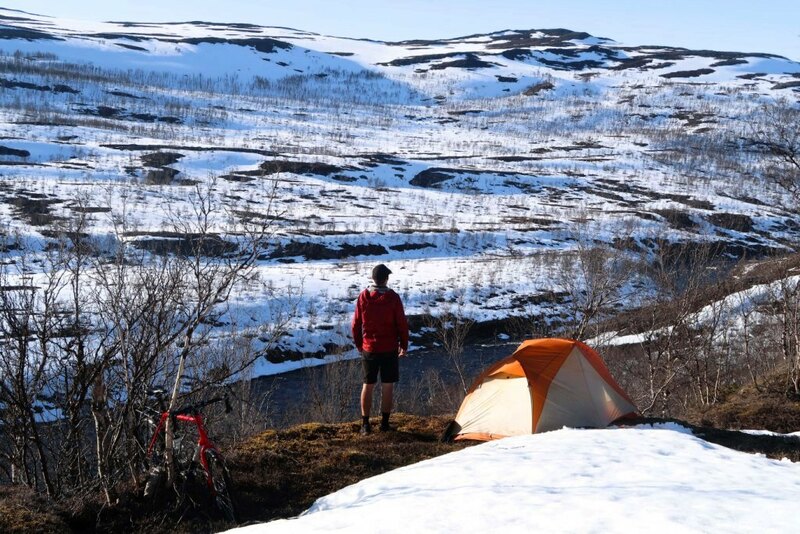 This is the northernmost place that you can cycle to in Europe. After reaching Nordkapp I turned around and cycled two weeks back to Umea, a total trip distance of about two thousand kilometers. 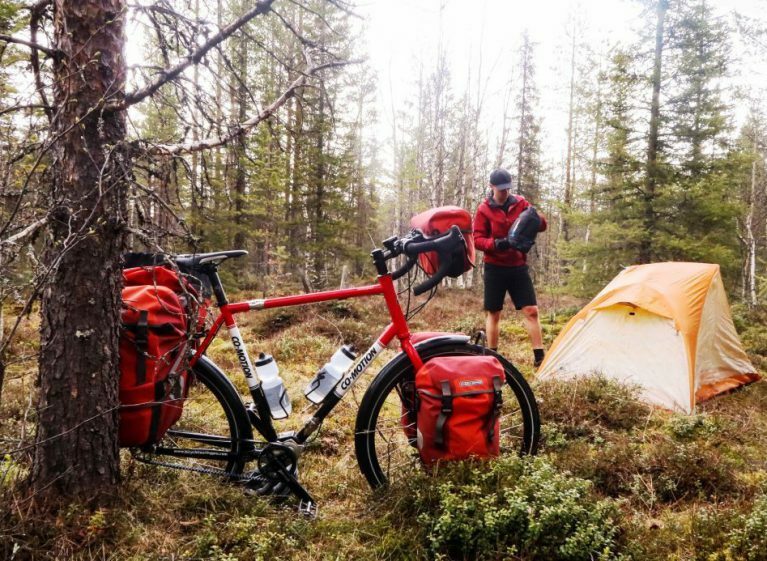 The best part of bicycle touring in Sweden, Finland and Norway is being out in nature and feeling at times as though I had the entire world to myself. There is so much big nature up there and so few people. Road traffic is light, which makes long days on the bike so enjoyable. And there is nothing better than rolling off the road at the end of the day and pitching a tent in the forest, cooking up some dinner on my camp stove and then crawling into my tent and sleeping bag for the night. Belted Blog: Tell us about yourself, how you got into bicycle touring and your favorite aspects of seeing the world by bike. Alff: I’m from Ventura County, California. I have cycled across more than 70 countries in North America, South America, Africa, Asia and Europe. 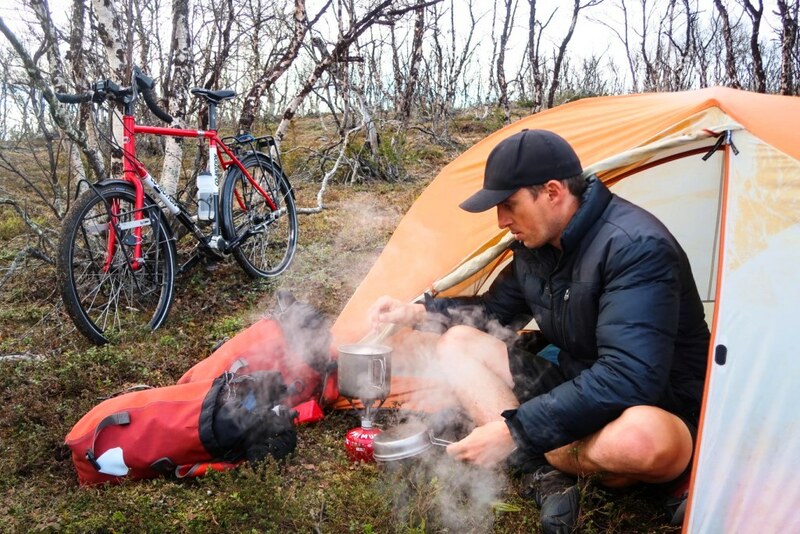 I began bicycle touring at the age of 17. I had just graduated from high school and was ready to go off to a four-year college to study filmmaking, and then go on to a career in the film and television industry. I was excited about starting a career, but at the same time something was bothering me. I saw friends and family members going to college, getting jobs, getting married, buying houses, having kids, and then only having time to travel the world after retiring. Frankly, that frightened me! I didn’t want to wait until I was 50 or 60 to travel the world. My uncle Tom had just returned from a bicycle tour in Ireland and he gave me the idea of riding the length of California as an adventure before heading to college. It was exactly what I needed to hear. So, that summer before college I mounted my father’s dusty old mountain bike, which had been sitting in the family garage for years, and slowly pedaled my way more than 1,000 miles from Oregon to Mexico. I didn’t know anything about bicycle touring and I made a ton of mistakes, but I muscled my way through and thirty days later made it to my destination. That trip changed my life. I was hooked. For the following four summers I set out on bike trips, and after graduating I just kept going, and I haven’t stopped yet. Belted: Tell us about your cool new bike. Alff: When I got my new Co-Motion Siskiyou is was not sure what to expect. My first impression was that the Pinion gearbox was smaller and lighter than I thought it was going to be, so I was very pleased about that. After many years riding with derailleurs I thought learning how to shift gears would be a challenge but it literally took me only 30 minutes to get used to. One of the things I like best about the Pinion gearbox is the ability to change multiple gears, even while the bike is standing still. When you ride a heavy, fully loaded touring bicycle, there are times when you come to a sudden stop and are unable to properly downshift. This makes accelerating again very difficult because you are stuck in a really high gear. This is no problem with the Pinion. Even at a standstill you can shift from the highest to the lowest gear without pedaling. As for the Gates Carbon Drive, it feels really smooth and strong. Now that I have more than 2,000 kilometers on the bike I feel confident that it is a great application for bicycle touring. The best thing versus a traditional metal chain is that I never have to clean it. I splashed it with water during my recent tour to remove dust, but that was it. No need to lubricate and clean the belt, and no grease on my legs or hands. This setup works so well that I barely noticed it, which allowed me to enjoy the cycling experience so much more.